’S i Ceit Langhorne a sgrìobh am bloga againn an-diugh. Tha i na Neach-taic Corpais aig Dachaigh airson Stòras na Gàidhlig (DASG) aig Oilthigh Ghlaschu. ’S e tasgladh digiteach a th’ ann an DASG ’s e stèidhichte air cruinneachadh de sgrìobhaidhean Gàidhlig agus fiosrachadh a chaidh a chruinneachadh bho choimhearsnachdan air a’ Ghàidhealtachd ’s sna h-Eileanan agus ann an Alba Nuadh eadar 1960an – 1980an. Tro rannsachadh corpais bidh DASG a’ toirt taic do phròiseact thar-oilthighean Faclair na Gàidhlig. Bidh am faclair stèidhichte air teacsa a thig bho DASG. Mar neach-taic corpais, ’s e m’ obair teacsaichean Gàidhlig uallachadh airson cuir ris an tasglann. O chionn ghoirid tha mi air a bhith ag obair tro Mhac-Talla, foillseachadh mìosail a nochd tràth san 20mh linn ann an Alba Nuadh. Bidh an sgioba againn a’ sgrìobhadh bloga seachdaineach agus ’s toil leam a bhith a’ sgrìobhadh mu nàdar, airson toirt air daoine smaointinn air mar a dh’fhaodadh iad an cuid Gàidhlig a chur gu feum fhad ’s a bhios iad air a’ bhlàr a-muigh, ann an coilltean daraich, sna boglaichean, no ri taobh lochan dorcha. Tha am bàrdachd seo a’ cur ainmean Gàidhlig nan craobh nar cuimhne agus ag innse dhuinn far am fàs iad. Ma bhios tu a-muigh a’ coiseachd sna boglaichean, thoir an aire dhan t-suil-chruthaich. Chaidh an abairt seo a chlàradh ann an Leòdhas. Nam biodh tu air seasamh air suil-chruthaich a-riamh, dh’fhairicheadh tu an talamh a’ crith fodhad le uisge a’ bhoglaich a’ gluasad fon chòinnich. Agus bi air d’ fhaicill ro easgaich gun fhios nach dragh e fodha thu! … Dh’ òl e bainne na bò bath a dh’ith am mòthan. Agus abair bainne milis, leigheiseach a bhiodh aig bò sam bith a dh’ ith e, agus deagh fhortan aig an duine a dh’ òl e! Cuimhnichibh, ma bheir thu pòg do ’m fear neo do ’n tè air a bheil spèis agaibh is am mòthan nur beul, fon teanga, bi iad dìleas dhuibh gu bràth! Dhèanadh deoch shùgh nam mòthan a’ chùis a’ cheart cho math. A’ cumail ort ri taobh na h-aibhne, ’s dòcha gun cluinn thu plubadaich, glugadaich neo torman an uillt. Agus ’s mathaid gum faic thu puilm-shruth. A bheil an abhainn na gàire geal? Am faic thu làgaraid? Tha eòlas air a’ Ghàidhlig gu math feumail nuair a bhios tu a’ cur ùine seachad air a’ bhlàr a-muigh. Tha dlùth-cheangal air a bhith aig a’ chànan agus a luchd-labhairt ris an tìr fad ghinealaichean mòra agus tron dàimh seo gheibh sinn sealladh eadar-dhealaichte air boidheachd nàdair. Nach tadhail thu air làrach-lìn DASG a rannsaich cuspair ceangailte ri dualchas nàdair anns a bheil ùidh agad. Anns an dealachadh fàgaidh mi tòimhseachan agad. Dh’ionnsaich mi fhìn e beagan mhìosan air ais. Seo beagan cuideachaidh: ’s ann tràth sa mhadainn a chitheadh tu seo. Ach siùbhlaidh iad nuair dhealras grian. Today’s guest blogger is Kate Langhorne, a corpus assistant at Digital Archive for Scottish Gaelic (DASG) at Glasgow University. DASG is a digital archive based on a collection of Gaelic texts and information gathered from communities in the Highlands and Islands and Nova Scotia between the 1960s – 1980s. Our fieldwork archive, Faclan bhon t-Sluagh (meaning ‘Words from the People’), is based on the Historical Dictionary of Scottish Gaelic which was started at Glasgow University by Professor Derek Thomson in 1966. Through our corpus research DASG supports the interuniversity project Faclair na Gàidhlig (Gaelic Dictionary), by providing the Gaelic texts on which this dictionary will be based. As a corpus assistant, it is my job to prepare the Gaelic texts for inclusion within the archive. Most recently I have been working through Mac-Talla, an early 20th century publication that was produced monthly in Nova Scotia. Our team produces a weekly blog and I enjoy writing about nature, to inspire people as to how they can use their Gaelic when they’re out and about, in the oak woods, the bogs, or beside the dark lochs and gurgling rivers. 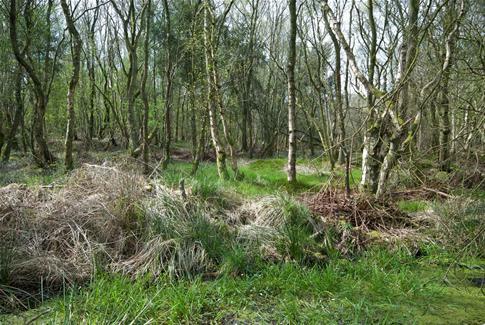 This poem can help you bear in mind the Gaelic names of trees and where they grow while you are out in the forest. Seileach allt, calltainn chreag, feàrna bhog, beithe lag, uinnseann an deiseir. Willow of the brook, hazel of the rock, alder of the bog, birch of the hollow, ash of the sunny slope. 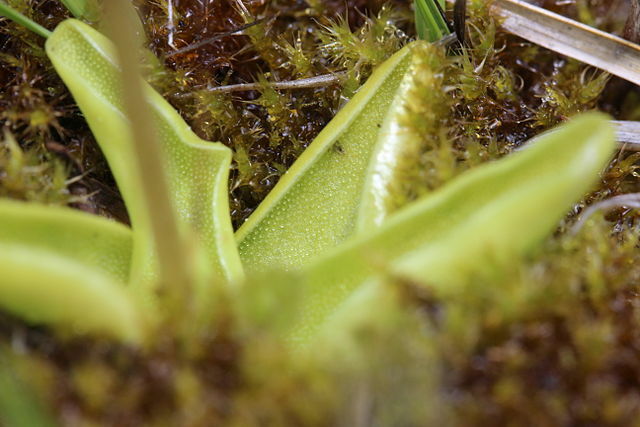 If you’re out walking in the bog, be aware of the suil-chruthaich, or “quaking bog”. This phrase was recorded in Lewis. If you’ve ever found yourself standing on a suil-chruthaich you will feel the ground beneath you shake as the water of the bog moves under moss. And beware of the easgaich in case you end up sinking! 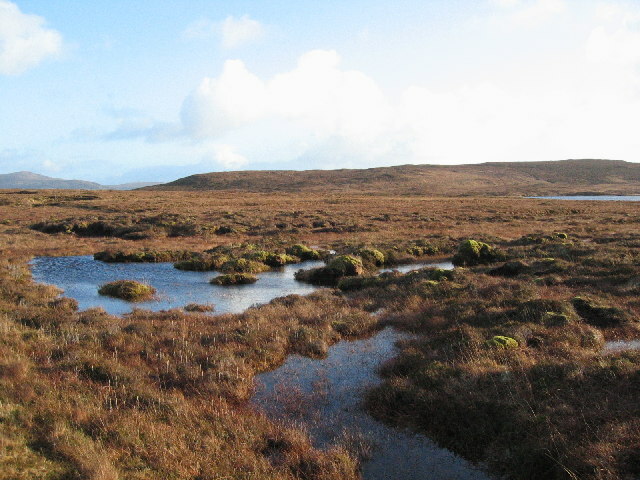 Easgaich refers to a danger spot in a bog which is not at first apparent. … Dh’òl e bainne na bò bath a dh’ith am mòthan. Continuing along the path of the burn or river, you may hear its corraghul, plubadaich, and glugadaich. These are all rather onomatopoeic words for the gurgling, bubbling and belching sounds of the water! You may also hear the torman of the burn: that’s the rushing sound. Perhaps you will see the puilm-shruth. 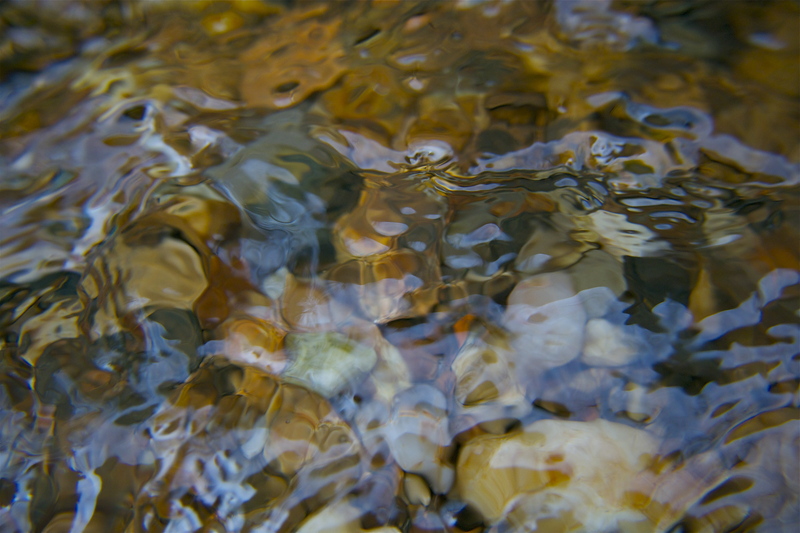 This is when the burn moves so fast over rocks and stones that bubbles appear on the surface as a result. If a river is na gàire geal then it is full and in spate. When you see a fast current in a sea loch, you could call this a làgaraid. Some knowledge of Gaelic is a great asset for enjoying our natural environment. The language and its speakers have been intimately connected with our land for centuries allowing us an additional viewpoint on its beauty. 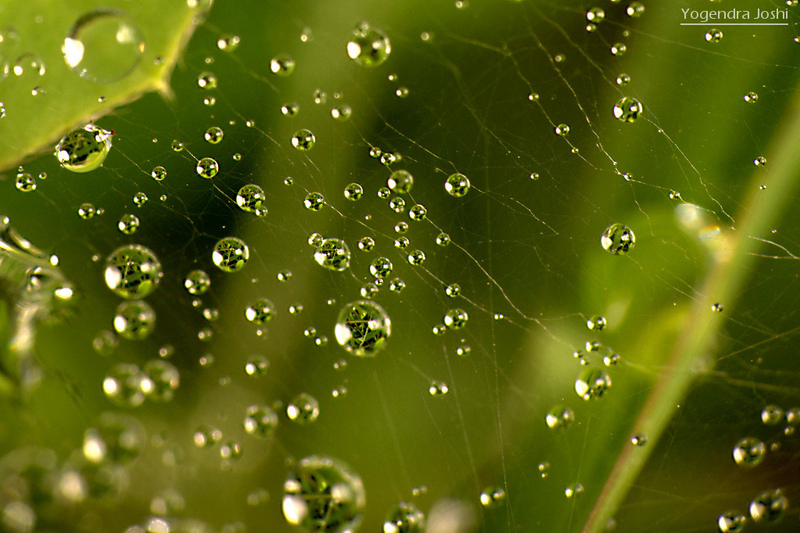 Come and visit DASG’s website to find and investigate a natural heritage topic that interests you. I will leave you with a riddle that I learnt a few months ago. I will give you one clue: it is seen early in the morning. I wonder if you’ll solve it! but they will vanish when the sun shines.